You may have come to Growth thru Change from a 12-step program or other recovery path. We support every modality by giving you the means to revisit your past experiences, traumas, stressors, and pain as you gain insight into your personal story and develop your inner strength. Too often the impact of substance abuse and addiction on the family is forgotten as the individual works on his or her own recovery. At Growth thru Change, however, addiction recovery is a collaborative effort that involves you as well as your family. We realize that your family plays a key role in your treatment process. This unified approach strengthens your family relationships, which then serve as a primary coping mechanism for your healing. Our three-prong approach includes individual, family, and group therapy. Individual Counseling: Initiation into the program begins with intensive individual counseling. This is your time to focus on the initial stages of your personal journey that will lay the foundation for years of sobriety. Group Therapy: Integration into group therapy introduces you to the community support that is essential to your long-term success. Our small, customized, weekly support groups provide a sounding broad for mutual understanding. 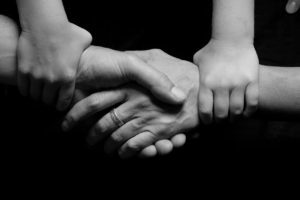 Family Counseling: You are paired with a family therapist who understands the depth of the family experience throughout your active addiction. Family therapy focuses on the relationships among your family members as they work to repair rifts and foster new, healthy connections. Our family therapists see problems as existing between people, not within people. Once a month, family members are invited into group therapy sessions so that they can hear the stories of others, receive support from group members, and have a platform to share their own feelings and experiences.